So, almost everyone you know and their mother is following the keto diet. Their weight loss results are impressive, almost insane. Now you have decided, you’ve got to jump on the Ketogenic diet too. Wise decision, I say! You are on to something great on your healthy lifestyle journey. Okay, but what exactly should you eat while on the results-driven keto diet? What does a keto shopping list look like, you ask? Stick around, this article should be pinned, bookmarked and the ultimate keto grocery list for beginners listed further down here should be printed out. Before you dash out on a keto grocery shopping spree, you should bear in mind that keto isn’t all about grabbing just any high-fat food. You have to understand the keto macros ratio. Sounds confusing? Okay, let’s try again. The body requires high quantities of nutrients in order to function. Macronutrients (macros) are nutrients made up of carbohydrates, proteins and fat, while micronutrients include vitamins and minerals. So, for your keto shopping list, you have to calculate your ideal keto macros ratio, which usually is 5% carbs, 20% protein and of course, 75% of fat. Remember as with any diet, keep it simple and affordable and if you can, you’ll do yourself a tremendous favour by planning your meals in advance. If you’re entirely new to the world of health and fitness, you should consider investing in a fitness and meal planner. A fitness planner such as this one will keep you on track will meals and exercise. Most fruits such as mangoes, bananas and cherries are quite high in sugar thus you must always be mindful of this if ever you crave fruit while on the ketogenic diet. Below, is a list of recommended keto friendly fruits that you can eat in small amounts and still remain in ketosis. You now know what to eat on keto. But. Some food you shouldn’t touch with a ten-foot pole. Let’s look at what not to eat on a keto diet. High carb foods are a huge no-no on the keto diet. Remember, carbs should only be 5% of your daily food intake. Don’t ever substitute butter with margarine, these two aren’t the same. Avoid margarine at all costs. I had thought about doing keto, but it seems so complicated to me. Then I heard that I had to do math to get my net carbs and I decided that it was too much for me. This is a great shopping list. I did Keto (formerly known as Atkins) for years and all I use is butter. Margarine is horrible and I never touch the stuff. Last year I had thought of trying the Keto Diet but it was so confusing I gave up but after seeing your post I might try the Diet again because I need to lose this weight and soon. This is so helpful for those on this diet. I personally could never do it because I need to be able to eat all the carbs I want at all times. But I now it’s super popular now! This is a very good list. I think this is a great way for someone starting out on this diet to know what they should be buying. I wish it was so cut and dry for a lot of other diets too. Although I will say I like the keto diet because of how much I can eat. I do my best Keto shopping at Costco. I am back on sugar again but I plan to return to Keto in 2 weeks. I always feel better in Ketosis. Having my fridge stocked up with colourful vegetables is always a great feeling. I need to get more nuts and seeds since I’m running low. This is a great resource for anyone looking to or needing to go keto. I am on a similar diet and there are many great options once you get started with a basis like shown here. 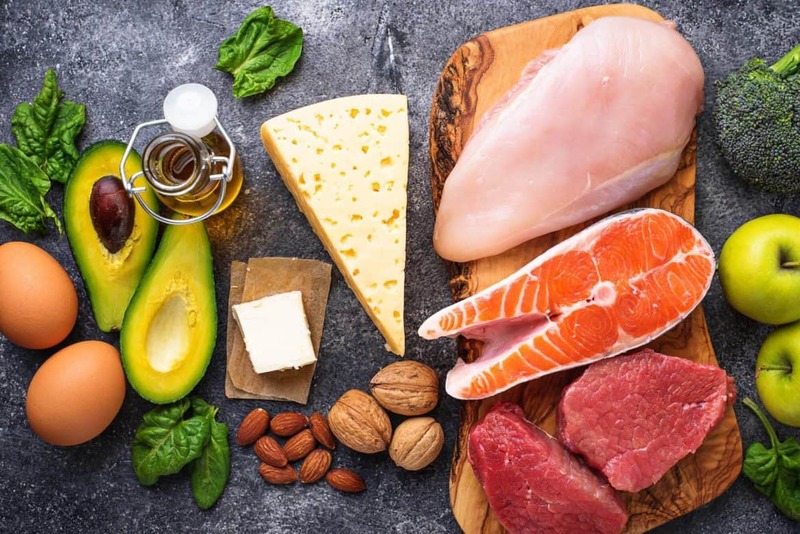 I like this post from the standpoint that you break down what you can and cannot have on the keto diet. This is excellent for anyone who wishes to start, but isn’t sure what’s all involved. Thanks for sharing this list. My sister is thinking about starting her Keto diet again. I have to share this post with her. I have been so curious about the keto diet but never really knew where to start. These lists of do’s and don’ts really help us beginners start off on the right track. When we started doing KETO, I had the hardest time finding an easy shopping list like this. This would have come in handy! As an avid Keto lifestyler, this list is spot on. In fact, I am sending it to my husband when he has trouble with what to buy. This is a great all inclusive keto shopping list! I need to share this with my keto loving friends! I can’t stay away from legumes and the fruits such as mangoes and bananas but the rest of the Keto food is really appealing. I love the list. I really wish I liked Nuts! I have never tired a nut that I liked. I hate that blueberries are not on the list because they are my favorite. I will be using this list when I go shopping this week!